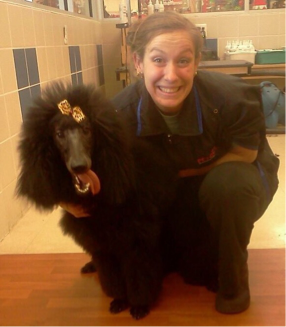 I understand that choosing the right dog groomer to care for your pup is a very important task and that leaving your beloved companion with a stranger can be stress inducing. With this in mind I am pleased to answer any questions you may have about me, my business and any of the services I offer! I am also pleased to arrange a time prior to making an appointment, so that you and your pooch can meet me, see my facility and ask any questions you may have, so that you are able to make an informed decision and book with confidence! My salon is attached to my residence and respect for my family's privacy is greatly appreciated!